For sixteen-year-old FALLON BRAEDEN, being haunted was just another day in the life of a gypsy, like being on the run had always been a closely guarded secret her mother would have happily taken to the grave… if her past hadn’t caught up with them. But when Fallon is stalked by fire-throwing demons, nearly killed by rebel mutants and finds a soul mate she can never have, even her normally unusual life is thrown into a tangled web of love, lies and betrayal. Airicka is very generously supplying one E-copy of her book before its publication date (yay!). You can enter to win at the bottom of this post. What inspired you to write Touching Smoke? It actually came to me while I was writing another story. In that story, I had the characters trapped in a gym, fighting off an invisible force when Amalie popped into my head and from there, TOUCHING SMOKE was born. Give us a rundown of the plotline in your upcoming novel. Touching Smoke is YA novel set in present-time Canada featuring Fallon Braedon, a sixteen-year-old girl with an unusual past. For Fallon, being on the run had always been a mystery, until the day she starts an earthquake and everything falls apart. Suddenly, she finds herself hunted by creatures with unusual abilities, haunted by a ghost baring a frighteningly familiar resemblance and falls in love with the last person she should ever give her heart to. So as her foundation crumbles beneath her, Fallon finds herself teetering on the brink of two devastating revelations: follow her heart or save the world, because there is no doing them both. Writing: With or without music? Oh, definitely with! Silence freaks me out, makes me jumpy. Not good for concentrating. lol. Do you have a Twitter or Facebook that readers can connect with? I absolutely do, and I love making new friends, getting comments, feedback or just a hey! 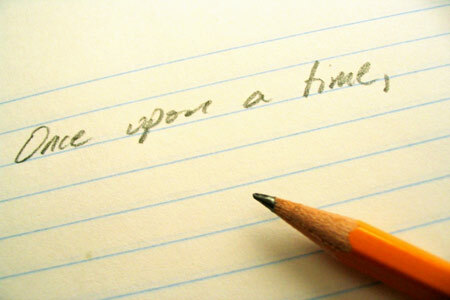 If you could give an aspiring author any piece of advice, what would it be? We have all been where you are. It only takes one lunge of courage, a spine of steel and the unfaltering knowledge that you know what you’re doing and this is where you belong. Let no one else tell you differently. Loving Airicka and the premise of her new novel? Well...YOU can snag an advance copy of her book (which I am in the process of getting ready to review pretty soon) by entering Airicka's giveaway hosted by Writing Belle. You can also pick up Touching Smoke on July 31st, its slated release date. The cover for this book is beautiful!!! Heading over to goodreads to add to my TBR list. It sounds amazing, can't wait to read it. Oh, Touching Smoke sounds so good. :) Thank you for this chance to win a copy.